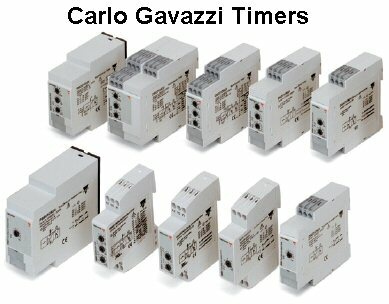 We stock Industrial Timers and Time Delay Relays (TDRs) by ATC, SSAC and Carlo Gavazzi. Our Timers and TDRs come in panel mount, socket mount or DIN rail mount styles. Most of our TDRs have universal voltage capability. 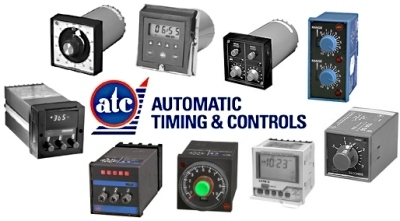 Click on the 'ATC Timers', 'SSAC Timers' or 'Carlo Gavazzi Timers' link on the left to bring up a list of our most popular ATC, SSAC and Carlo Gavazzi Timers. If the ATC, SSAC or Carlo Gavazzi timer you are looking for is not here, please contact us for a quote or fill in our Timer Design Form!